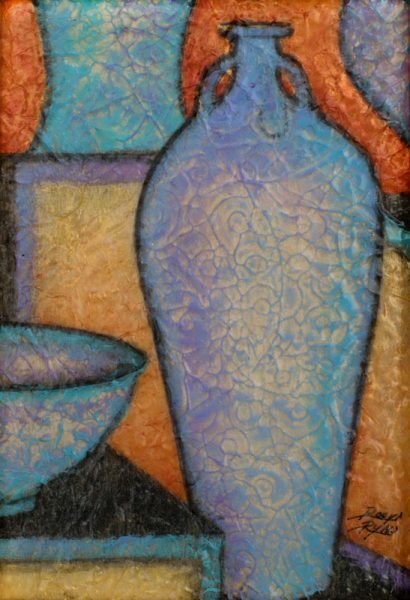 This Acrylic Layers piece started with a charcoal drawing on a birch panel. The first acrylic layer sealed the charcoal. Later layers were embossed then acrylic paint was applied to the peaks of the texture.